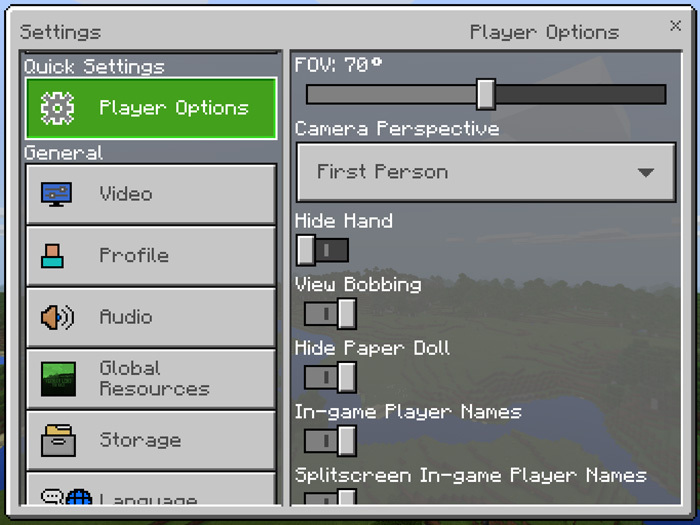 This is a brand new add-on called Minecraft Pocket Edition: Quick Settings Add-On. This addon lets you access a few really useful settings through a new menu in the in-game user interface. Most of these options are otherwise only limited to the Video Settings screen and normally you would need to scroll a lot to get to them. It’s very useful if you need more quick and easy way to access them. Creator: NetherNinja, Twitter Account, YouTube. Enjoy playing! Here is a list of settings you’re able to quickly access from the Quick Access settings screen. If you have suggestions for more features be sure to let NetherNinja know about it on Twitter. 1. Download Quick Settings Add-On (Resource Pack) here!